The Great Grizzly Reading Challenge will kick off on March 1! Our theme this year is camping and the great outdoors. Kids have an opportunity to win fun prizes by reading. Once the program starts, stop by the office to see the fun camping themed reading nook. There is no limit on how much your child can read. The more a class reads, the more prizes they get. Reading logs are due each Friday with a parent signature. Our school goal is 200,000 minutes! Please encourage your child to help us meet our goal! Join us for magic, games, fun, and refreshments. Please see the flyer for additional information. Volunteers are needed to help make this event a success. The book fair is scheduled for the week of May 10th – May 17th after school. The Fair will also be open during our Open House, Thursday, May 16th from 5:30-7:00. The fair will not be open after school on May 16th, but will be open during Open House later that night. Spring Break is in 1 week!! There will be no school from Monday, April 15th-Monday9 April 22nd. Students return to class on Tuesday, April 23rd. Last Skate Night of the school year! 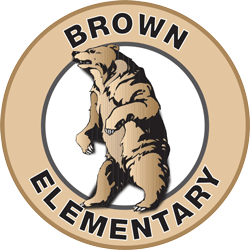 I wonder if you know how much the Brown PTC does for your child? At Vencil Brown School we have a lot of amazing extras that enhance your child’s education, many that are funded by our Parent Teacher Club. I think sometimes we may take for granted the wonderful opportunities that our PTC provides for us every day. With CAASPP testing occurring immediately after Sprint Break, Independent Study Contracts will not be approved for 3rd-5th graders from April 23rd-May 10th. NO Independent Study Contracts will be approved for any ages after May 10th per RCSD policy. Having trouble registering, the district office will be holding several Registration Support Nights.